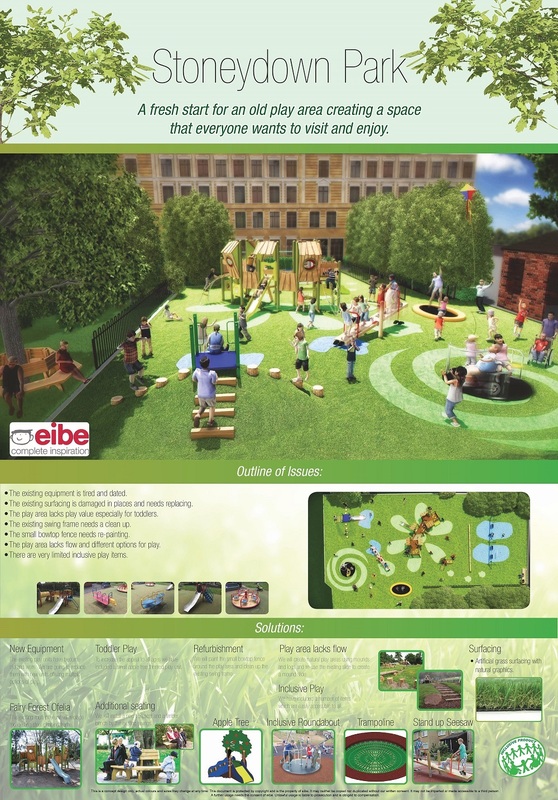 Good news for the littlest Stoneydowners: playground supplier Eibe has been selected by Waltham Forest Council to undertake the refurbishment of the under-7’s playground. 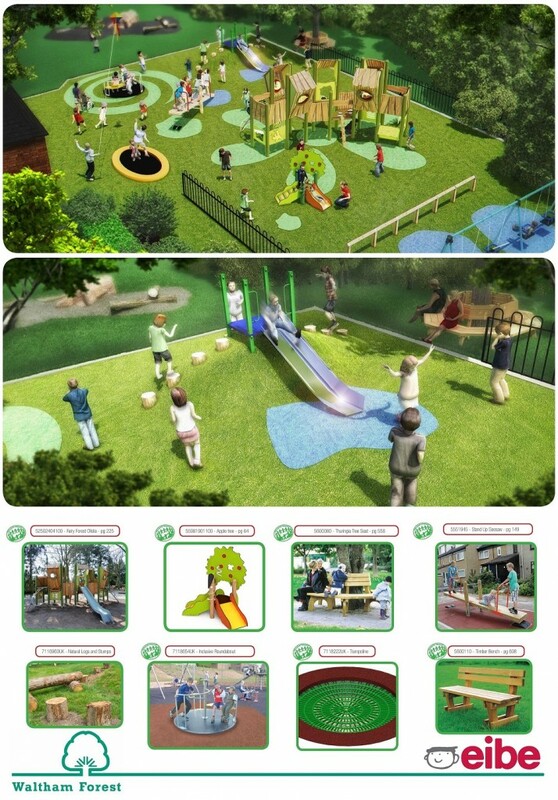 Check out images of the proposed design below. We’re told that the work will commence in September and be complete by October 2015. 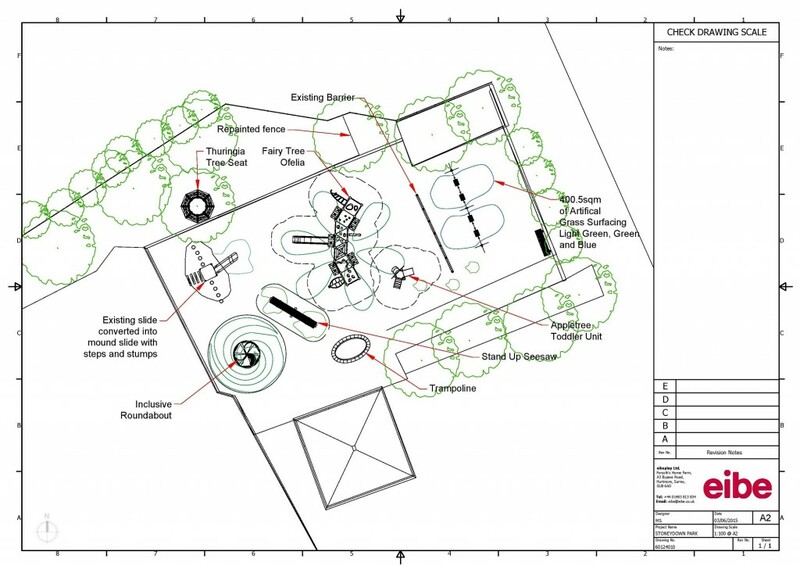 The council will display the proposed design at Stoneydown Park play area, and Eibe are hoping to come to the folk festival to hear your comments.